Prepping for our two week road trip out east I have been writing down ideas for homemade pre packaged food for us to eat on the road. 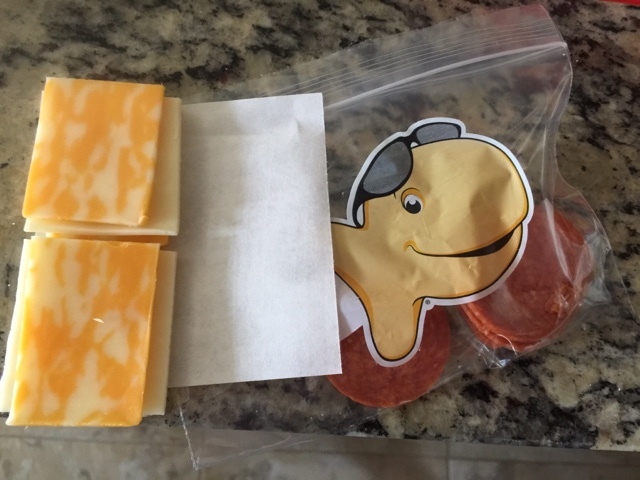 Here's one idea of what I had for some quick and easy lunches for the kids. I used pre sliced tilmock cheese and cut them into 4 squares. 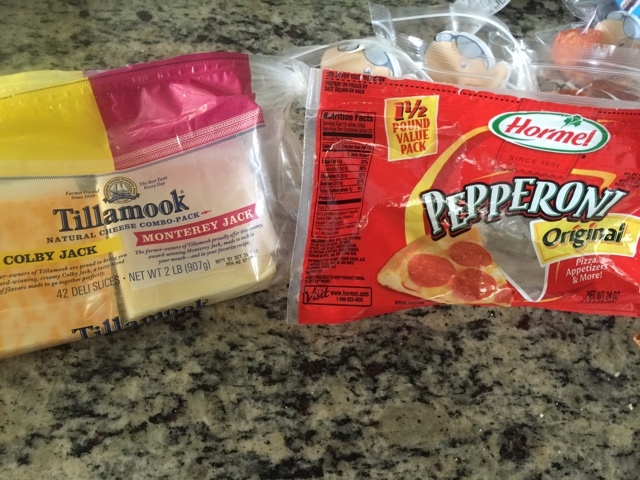 I reused the wax paper to hold 6 slices of cheese together. 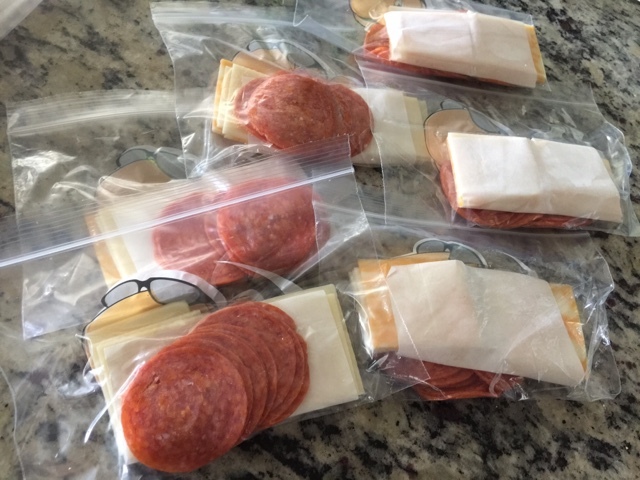 Using snack sized zip loc bags I filled each with 10 slices of pepperoni and 6 squares of cheese. That's it! Hardly any prep time and an alternative to sandwiches while we are on the road. I have two sleeves of ritz crackers as well that I'll add in when its time to eat.